So, you’re looking for the best Android Kodi TV Box? When it comes to choosing an Android TV box (sometimes known as a ‘Kodi Box’, ‘Smart Box’, ‘tv box’, ‘streaming box’, ‘android box’ etc), it can definitely be overwhelming with all the options on the internet – especially with words like ‘quad core’ and ‘octa core’ claiming to be better than the rest. The difference between a low/mid range device to a high-end model is something you can definitely feel with substantial performance differences. In this post we will help you find the best android/kodi streaming box based on performance. As we explain in a different post, not every ‘quad core’ or ‘octa core’ processor is the same. A device with 2GB RAM can outperform a 3GB RAM device based on its processor. Also, a ‘quad core’ device can outperform an ‘octa core’ device based on the processor. The other thing that comes into play is firmware/software. Android TV Box manufacturers are supplied with ‘beta’ (pre-release / not ready / for testing purposes) ANDROID firmware from the SoC manufacturers (like AMLogic, RockChip, RealTek, Intel, etc). The Generic Android TV Box manufacturers simply dump these ‘not ready yet’ firmware files onto brand-spanking-new boxes and are then marketed as ‘Latest Android Version’. Consumers are then faced with a very poor performing device. Not only that, but those boxes do not receive any firmware updates, ever. Android Firmware Development for TV Boxes is not a walk in the park. It takes a lot of time, bug testing, staff, third party testers & money to create a ‘final firmware’ which is stable, and the closest to perfection. This is why it is simply not possible for any reputable manufacturer to always have the “latest android” version for their devices. By the time the firmware is ready for an Apple-like user experience, there will already be another newer android version released. Feel free to browse firmware updates we have released for devices we sell. MINIX: the most popular brand with world-recognition for its quality Android TV Boxes, never upgraded the Android Version of its highest selling device (NEO X8-H Plus) – due to the above. (although DROIDWORLD did release a custom Android 5.1.1 Lollipop for the MINIX NEO X8-H Plus which you can download by clicking here). MINIX: Released the new NEO U9-H this year with Android version 6, and the device has already received many OTA firmware updates (over-the-air updates) – however, still remains on Android 6. This is because they release firmware updates to continue to optimize the Android firmware (it doesn’t make any sense to upgrade to the next version of Android, if the current version of Android is yet to be 100% stable). While cheaper generic boxes are being sold with Android 7.1.1 using the same S912 CPU as the NEO U9-H.
XMEDEX: An Australian manufacturer who have actively released firmware updates for these devices, although currently remain on Android 5.1.1 (the same as MINIX Neo U1) due to better performance and stability. I would describe the firmware on the XTREME boxes to be perfect, second-to-none. The main factor is to buy an Android TV Box which has a minimum of 2GB RAM (do not purchase a box with 1GB RAM), and a minimum of Android 5.0 Lollipop (do not purchase an older one with Android 4.4). The KODI version number is also not important, as you can always update the KODI version from the App Store. The entire android version gimmick came to existence when KODI released an announcement that the newer version of KODI (at the time, KODI 16) will no longer support Android 4.4 and below (due to using a new API which is only available in Android 5 and above). Our personal sweet spot is Android 5.1.1 – as Android 6 is only beginning to be a stable performer – while Android 7+ boxes are very buggy. 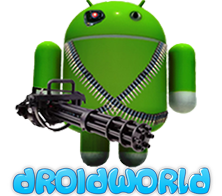 It’s also important to note that DROIDWORLD did not forget its old customers, nor advise them that they need to buy a new box to continue to use KODI. Rather, we released a custom version of KODI that does work on Android 4.4 to ensure our customers were still able to enjoy their devices. With all of the above devices, they are ‘high-end’ devices, with fast processors and plenty of memory. They use brand-name chipsets like Samsung & SK HYNIX. You can expect super fast performance (grunt), non-laggy interface, faster to do things, multi-task with ease, etc. The above list comes directly from the team which handle hundreds of boxes ranging from different brands, different hardware, etc. This is an unbiased recommendation. For in-depth differences between those MINIX & XMEDEX models, please visit the product pages and see both the ‘device info’ and ‘detailed specs’ area. *Click here to See our other blog post with advice on choosing the right device for you. *Click here to See our other blog post with advice on where to purchase your device, and which sellers to avoid. *Click here to See our other blog post with advice on VPN’s and Smart DNS Services. *Click here to Browse our complete Kodi/Android Support articles / knowledge-base here.